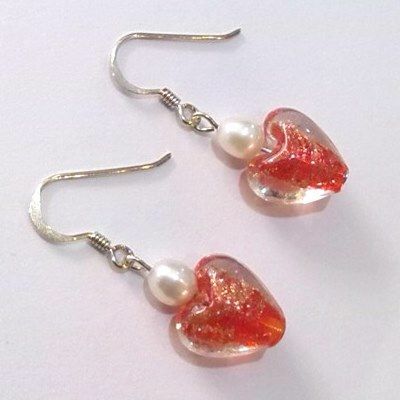 A great combination of multi-coloured Venetian glass and lustrous white pearls! 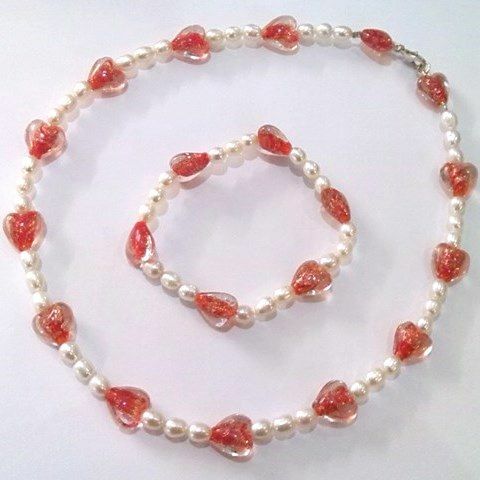 This versatile necklace is a stylish and useful 18 inches long and is fastened with a traditional 'lobster-claw' clasp. 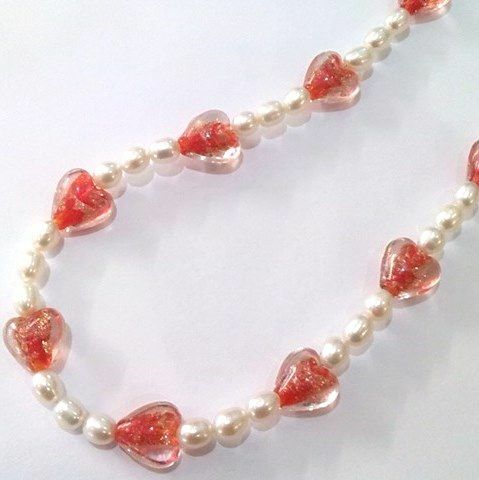 The hand-made Venetian glass hearts measure 9 - 10 mm and the grade 'A' oval cultured freshwater pearls are 5 - 6 mm. 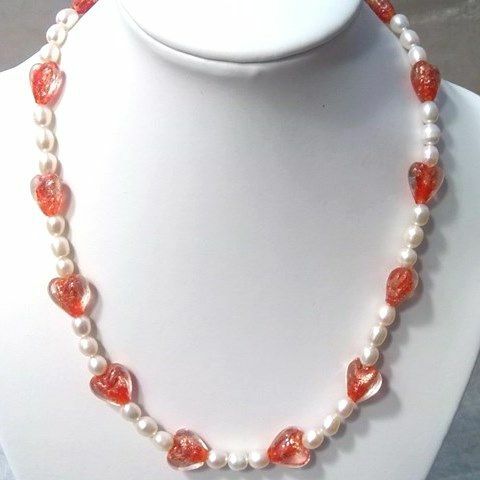 We'll send your necklace in a pretty and practical silk purse at no extra charge.